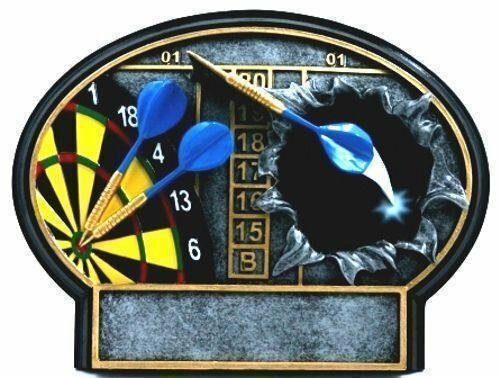 This is a great choice for an economy darts trophy. 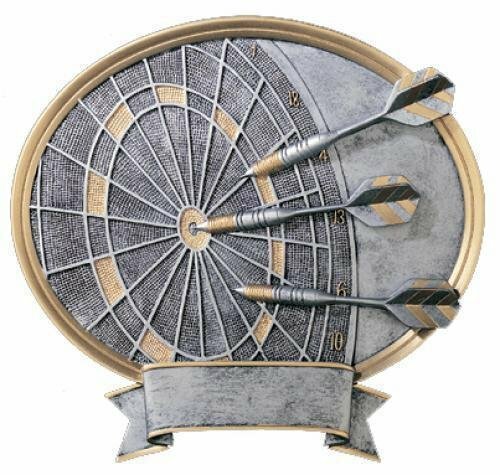 Choose a cheap darts trophy for your team or tournament trophy event. 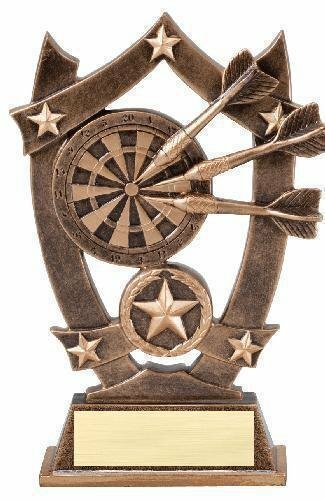 FREE Shipping is available on orders cheap darts trophies over $100. FREE Engraving. The Centurion Darts Trophy is a popular choice. 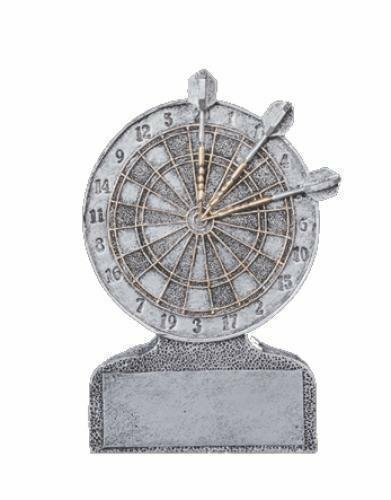 The Darts Award comes with a brushed gold, lazer engraved plate.